8986 Greenwich Hills Way Fort Myers, FL. 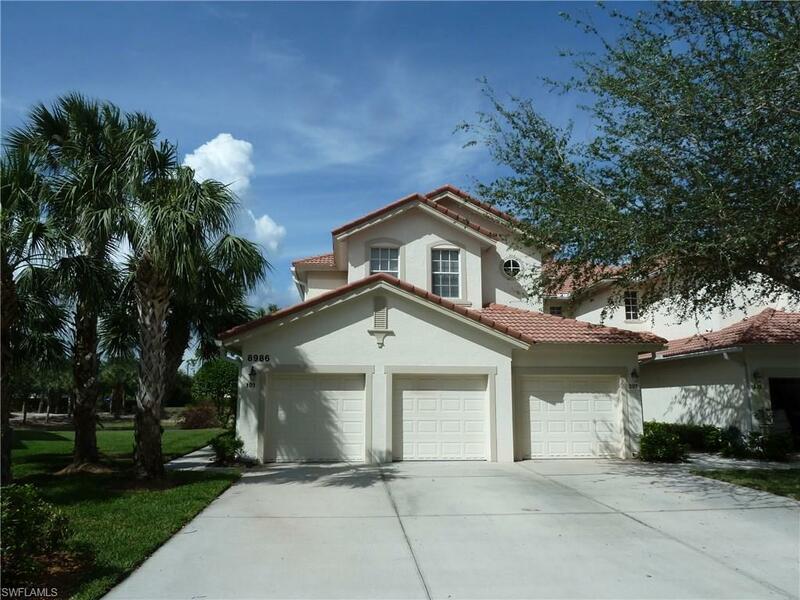 | MLS# 219025881 | Southwest Florida Residential Real Estate for Sale. Enjoy the lovely lake to golf course views from the lanai of this FIRST FLOOR condo in the beautiful gated community of Crown Colony. The great room floor plan leads to a bright open kitchen that has solid surface counter tops, breakfast bar & breakfast nook and ALL NEW STAINLESS STEEL APPLIANCES. Master suite has tile floors, separate tub and shower, dual sinks, plenty of space. The two car attached garage is a big plus for condo style living. Condo has been FRESHLY PAINTED throughout. Community is in a great location close to restaurants, shops, entertainment, Lee Health Hospital, airport and just minutes to the lovely beaches of Fort Myers, Sanibel and Captiva. Easy to show.